Pregnancy assistance, prenatal program, and a whole lot more! First-time mom? Join the Nurse-Family Partnership for extra support during your pregnancy. We put your family at the center of care. The Center for Children and Women. Texas Children’s Health Plan was founded in 1996 by Texas Children’s Hospital. We cover kids, teens, pregnant women, and adults. If you qualify for Medicaid or CHIP, we have a large network of doctors and resources to care for your needs. In response to the recent high school shooting in Santa Fe Texas, the National Child Traumatic Stress Network has developed resources to help families and communities. Before going to the Emergency Room, call the Nurse Help Line (unless it is an emergency). We are available 24-hours a day, 7 days a week. We speak English or Spanish. We also have interpreters available by phone who speak 140 different languages. Emergency Service and Behavioral Health services are available 24 hours a day, 7 days a week.We speak English or Spanish. We also have interpreters available by phone who speak 140 different languages. Providers can use this number for claims, inquiry, questions and information about CHIP, STAR, or STAR Kids products and to check eligibility/benefits. Texas Children’s Health Plan’s automated Telephone TouCHPoint system allows Texas Children’s Health Plan providers to check eligibility, benefits, and claims status after hours. The service is available 24 hours a day, 7 days a week. To access Telephone TouCHPoint call 832-828-1007. Enter the member’s identification number and the provider’s NPI number. Click here to learn more about CHIP. STAR is a Medicaid-managed care plan. This plan helps family members of any age. 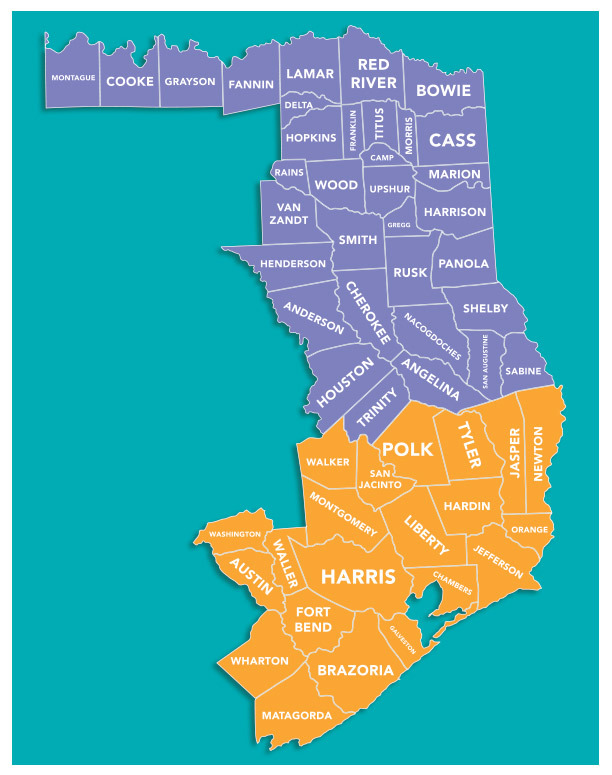 Texas Children’s Health Plan offers STAR in more than 20 counties in the Jefferson and Harris Service Areas. Learn more about STAR. Click here to learn more about the STAR program. STAR Kids is a Medicaid-managed care plan. This plan helps children and young adults under the age of 21 with disabilities. 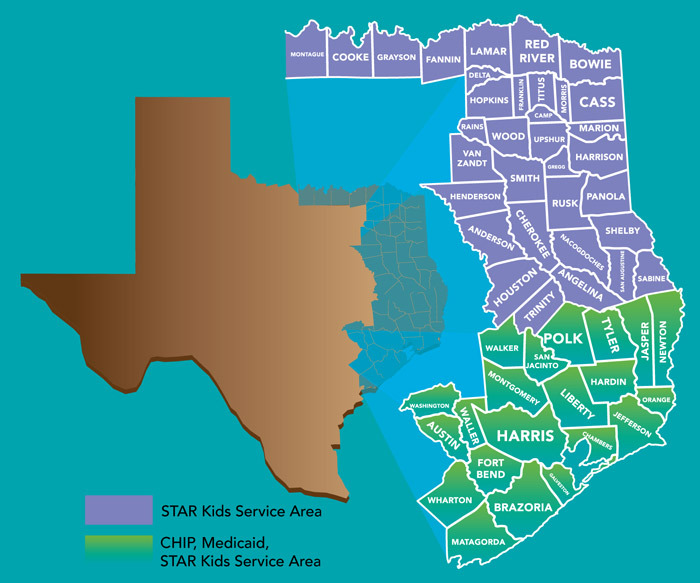 Texas Children’s Health Plan offers STAR Kids in the Harris, Jefferson and Northeast Service Areas. Click here to learn more about the STAR Kids program. Click here to learn more about CHIP Perinatal. Can I ask for a State Fair Hearing? If you, as a member of Texas Children’s Health Plan, disagree with the health plan’s decision, you have the right to ask for a fair hearing. You may name someone to represent you by writing a letter to the health plan telling them the name of the person you want to represent you. A doctor or other medical provider may be your representative. If you want to challenge a decision made by Texas Children’s Health Plan, you or your representative must ask for the fair hearing at any time up until 90 days of the date on the health plan’s letter with the decision. If you do not ask for the fair hearing within 90 days, you may lose your right to a State Fair Hearing.